Thanks Ashley! You have made me one very happy bride! Oh my goodness, gorgeous! I'm in love with that font! wow stunning, I have always loved what she does but this is even better! So pretty - my favorite color palette! 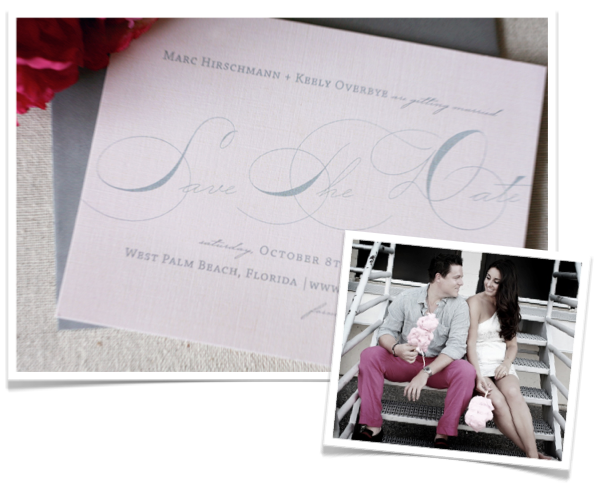 We live just south of West Palm, so I know your wedding will be gorgeous! How cute !! They are so pretty and love the photo !